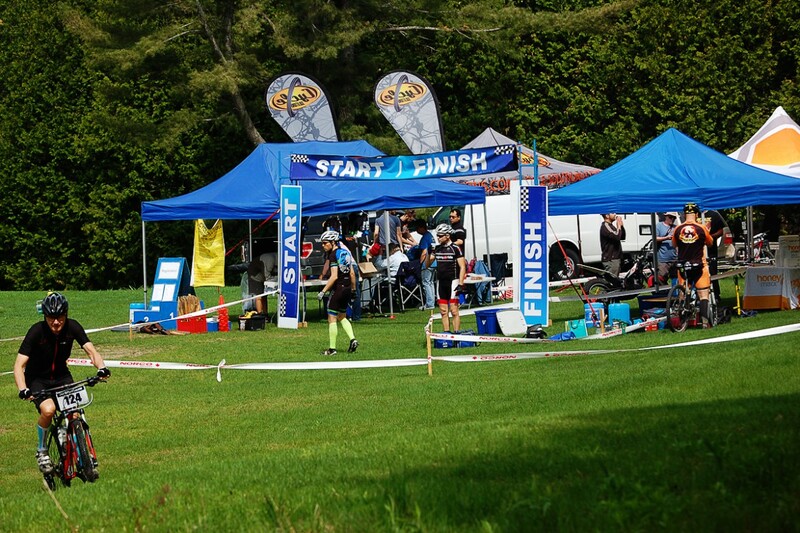 The XCMarathon Series is a competitive mountain bike race series designed to have pro riders and beginners out on the trail together in a fun but competitive environment. If you want to race hard, go to the front and see how long you can hang on for. If you just want to ride with a bunch of people on a 30-40k loop without worrying about getting lost and enjoy the BBQ at the finish, then start near the back. As long as you are having fun on the trails we are happy! -A lead moto to make sure the trail is still clearly marked and other forest users know you are coming! -Friendly people focused on making your day of riding in the forest fun. Our goal is to mix single track challenges (up and down) with double track/dirt roads to let you recover, pass and regroup for the next technical challenge. Marathons are approximately 50-80 km and have a goal time for first place of 2.5 to 3.5 hours. 11 am start time. You will ride two laps of the course. Half-Marathons are approximately 25-40 km and have a goal time of 1.5 to 2 hours for first place. 11:30 start time.